Just a few miles south of Denver, tucked away in the Greenwood Village neighborhood is The Wooden Table. For your midday feast, start with the spinach salad. Sounds simple, however, the fresh ingredients (Colorado gala apples, pancetta, mountain gorgonzola, pumpkin seeds and shallot vinaigrette) make for a divine salad. All the pasta is homemade and a must, like the ravioli, served with their house red sauce or agnolotti pasta with herbed goat cheese, braised lamb and roasted red peppers. In the mood for a sandwich. Try the grinder or meatball served on a baguette with fried rosemary and parmesan fingerling potatoes. Treat yourself to happy hour at The Wooden Table which is Monday thru Fridays from 3 p.m. to 6 p.m. Dine on $6 appetizers which include mussels, fresh mozzarella, chicken liver crostini and frutti di mare crudo. Enjoy $3 house wine, wells drinks, beer and $5 martinis. An evening at The Wooden Table will delight your palate. Start with the mussels, eggplant parmesan rolotini or chicken liver mousse crostini. Dine on one of their delicious salads but leave room for the main event. The 21 day dry aged 2 mile ranch beef tenderloin is blissful, as well as their, seared diver scallops, pan roasted black cod or grilled house made sausage. The evening would not be complete without dessert like the tres leches cake, gelato sampler or chocolate pot du creme. The Wooden Table is located at 2500 East Orchard Road, Greenwood Village. Hours of operation: Monday - Thursday, 11 a.m. to 9 p.m., Friday and Saturday from 11a.m. 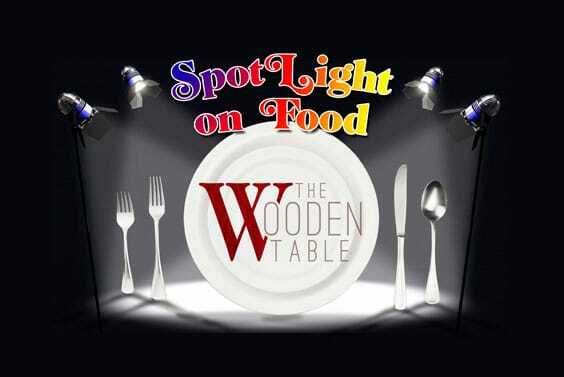 to 10 p.m. For more information, questions, or reservations visit www.thewoodentable.com or call 303-730-2152. Left: The ever popular beef tenderloin at The Wooden Table Right:Agnolott pasta with herbed goat cheese, yum!